Georgia’s dedicated and diligent farmers deserve all the credit for the state’s booming agriculture industry. Contributing close to $72.5 billion each year to the state’s economy, Georgia agriculture encompasses everything from broilers, beef cattle and pecans to food processing and agricultural education programs. The Peach State is home to 42,258 farms encompassing more than 9.5 million acres of land, each with an average size of 228 acres. The land is rich with a variety of soils ideal for agriculture. This combined with the fact that most of the state has a humid subtropical climate with mild winters and hot moist summers, Georgia is an ideal place to farm a variety of commodities. Without the farmers and ranchers who work that land, committing their lives to agriculture, the state’s top industry wouldn’t be near as successful. Many hardworking Georgians form the backbone of the state’s agriculture. In fact, one in every seven Georgians works in agriculture, forestry or a related industry. Your future is ahead...Ag takes you there! 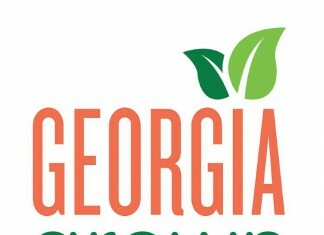 A guide to Georgia Grown products. How conservation takes root in Georgia. What's growing in Georgia throughout the year? Use this helpful Georgia produce calendar to see when specific items are in season. Georgia dairy thrives on successful management, nutrition programs. PeachDish adds Georgia favor to the meal-kit industry. FFA helps students expand horizons, develop leadership skills. Federal-State Inspection Service promotes agriculture quality. UGA leads the way for peanut research. See highlights from the 2016 Music City Food and Wine Festival in Nashville, Tenn.